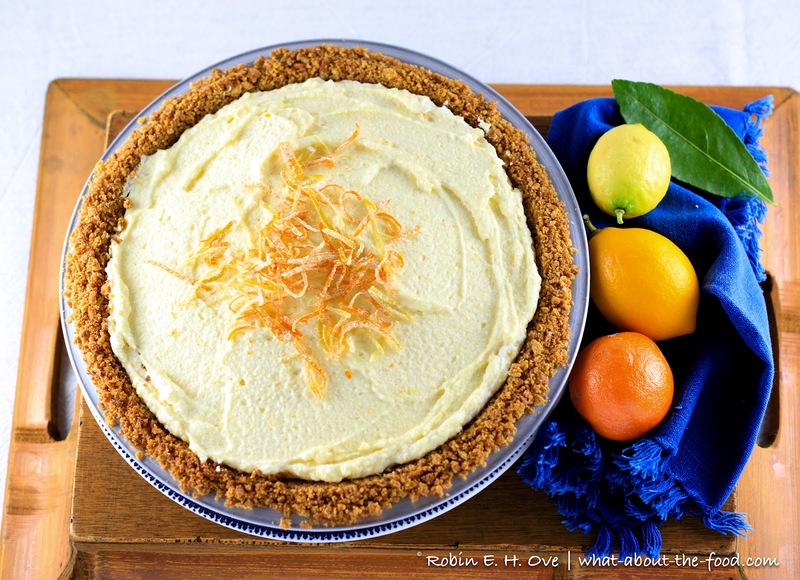 The juicing, the cocktails, frenetic peeling and zesting culminate in one of the most indulgent, creamy, rich pies that is also deceptively light as a cloud. How is that possible? Inspired by the pie master, James McNair, naturally. This volume, James McNair's Pie Cookbook, was lovingly purchased years ago to indulge my pie-baking husband. 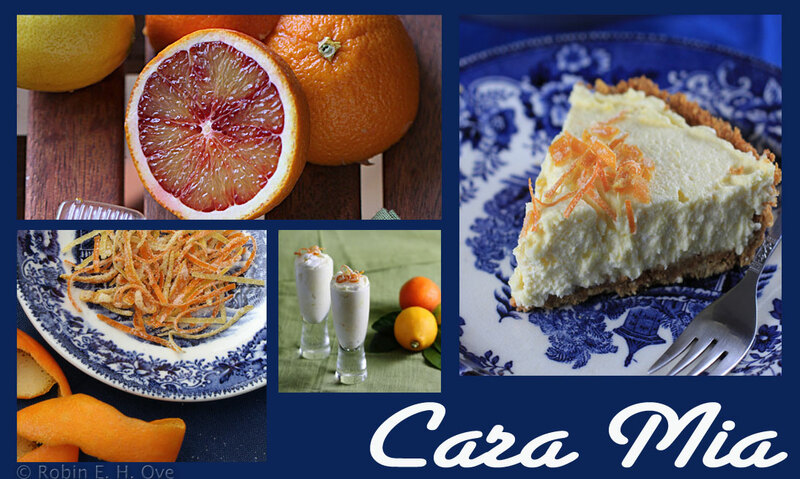 Beautiful too look at and the recipes are well crafted, easy to follow and have a bit of inspiration. 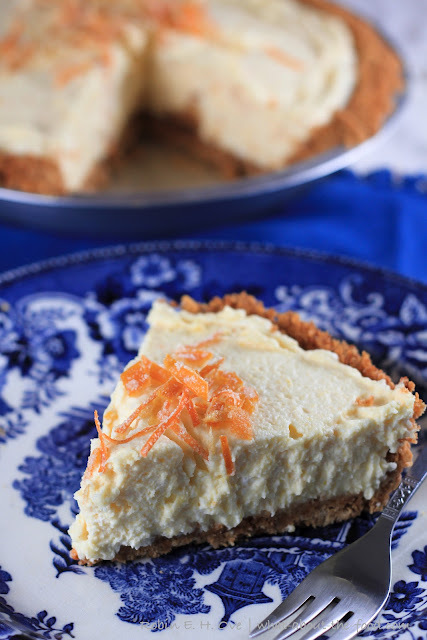 Memories of the Mixed Citrus Cream Pie, with brilliant yellow custard and whipped cream rattled around in my brain as I wandered through the fruit stand piled high with oranges, clementines, minneola tangelos, lemons and limes. And if you have too much filling for your pie pan? Why not Cara Mia Mousse "Shots?" Maybe that is the just right something to end an intimate, elegant meal. 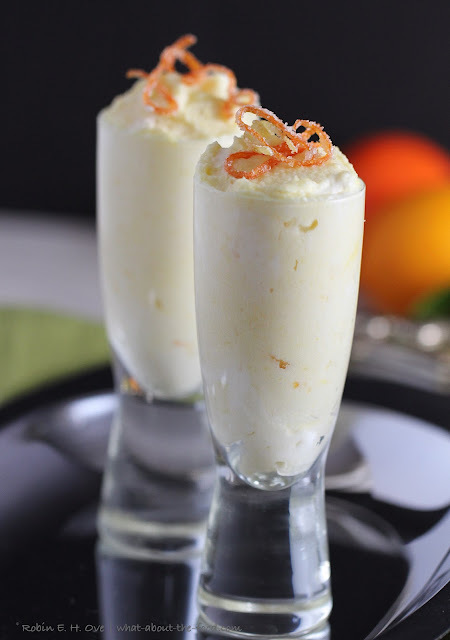 Cara Mia Cream makes excellent little "shots" for an elegant bite. So envious of the gorgeous citrus fruits!! And although the pie looks fab, it is the mousse shots that really caught my eye - the perfect end to a meal :) Lovely photos too! Thank you Jeanne! Somehow I just knew you would love the "shots!"